Southbridge..Jeannine M. (Benoit) Jesky, 95, formerly of Lebanon Hill Road, died Thursday, June 28, at Southbridge Rehab & Health Care Center. Her husband of 51 years, was the late Charles S. Jesky who died in 1994. She is survived by her daughter Nancy and her husband Edward J. Cloutier of Sturbridge, her grandchildren Karen Pelletier and her husband David of Southbridge, and their children Mark Pelletier and Jennifer Huard; Susan Jesky of Englewood, FL and her son Jake Robideau; John Jesky and his partner Holly Ford of Southbridge and his children Jessica Jesky, Dylan Jesky and Jeremy Jesky; Mark Cloutier and his wife Zandra of Sturbridge, and their children Josh Cloutier and Rebecca Cloutier; Debra Julian and her husband Richard of Warren, and their daughter Kylee Julian; Michael Cloutier of Southbridge; Tammy Cloutier and her partner Kevin Butler of Southbridge, and Amber Marshall and her husband Jay of Southbridge and their daughter Kelsi Burns and several great-great grandchildren. She also leaves 3 sisters Theresa Commito and her husband Arthur of Southbridge, Pauline Benoit of Southbridge, and Annette Proulx of Southbridge, her daughter-in-law Beverly (Bertrand) Jesky Pratt of Southbridge, many nieces and nephews. She was predeceased by her son Charles S. Jesky, Jr in 2000, a sister Lorette DiTomasso, and her brother Raymond Benoit. She was born in Southbridge, daughter of Aime and Maria C. (Lamothe) Benoit and has lived here all her life. 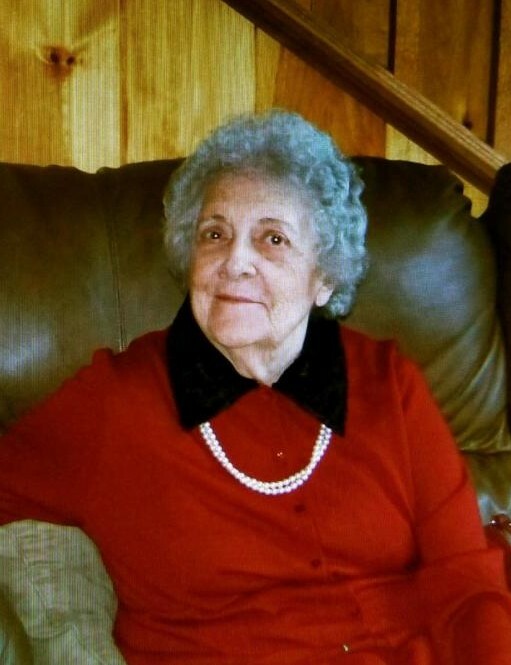 She was a member of St. Hedwig's Church and worked for many years at Mary E. Wells Jr. High as a cafeteria worker and years ago at the American Optical Company.